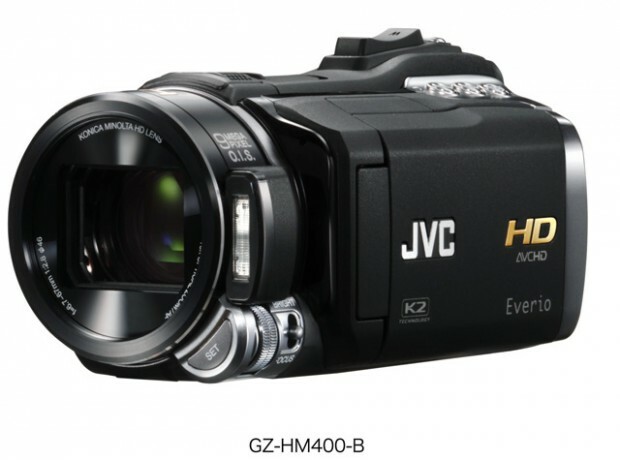 Victor JVC Japan announced [JP] a new full HD camcorder from their Everio series today, the Everio GZ-HM400. The device features a 10.3MP CMOS sensor, 10x optical zoom, 32GB of built-in storage, a 2.8-inch flip-out LCD screen, SD/SDHC support, a YouTube and iTunes upload function, a USB port and an HDMI interface. Buyers will be able to store around three hours of full HD footage in the camera (at 24fps) but can also use SD/SDHC cards (up to 32GB). The Everio can also shoot pictures in 9MP resolution. It weighs 485g (including the battery). 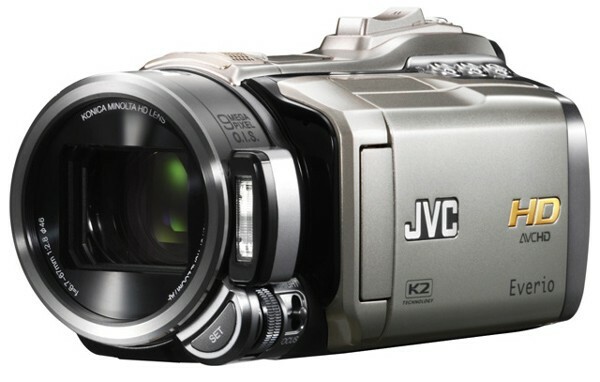 Victor JVC plans to start selling the new camcorder in Japan at the beginning of next month in black and silver (price: $1,100). The company hasn’t said yet when the device will hit stores outside Japan.